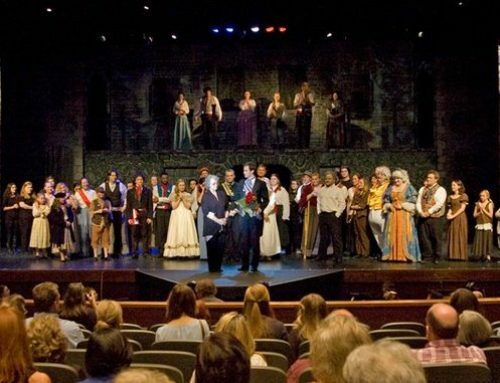 SAAC is excited to host a new program, “Silver Theater”, a chance for stage veterans and other seniors interested in sparking their creativity on stage again or for the first time. This group is in the planning stages now, headed up by Gary Hall, and he is searching for actors and others who would love to be involved in a fun and meaningful experience back in the theater. There is also a need for seniors to work on set and backstage. The “Silver Theater” group has already met and is planning their list of productions and projects for the coming year. 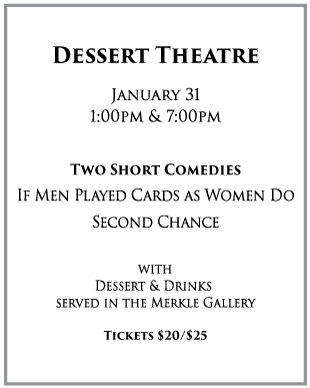 They are working first on a dessert theatre production to be done in one act, with comedies being the inaugural productions. They are also interested in doing something for the Mayhaw Festival and children’s story times for the grade schools. A ‘retrospective’ is in the works, too, with veteran actors and a few guest stars doing snippets from past SAAC productions. Those who have already joined the group are Beverly Allen, Pam Bosanko, Rob Bosanko, Pat Callaway, Mary Egerer, Delaine Gates, Beverly Hall, Nancy Hall, Nancy Rae Kinard, Becki Lusk, John Lusk, Charlotte Phillips, Allan Pirnique and Kay Shaddock. Hall is so thrilled to be working with the “old guard” and introducing them to the younger theater set. He feels that the history of the SAAC Theater is extremely important and that the older group has much to share. “We spend some time reminiscing about ‘the old days’ and remembering people who were instrumental in the formation of the SAAC theater movement,” he shared. “People who have not done theater work in years are joining us, and they are so happy to be ‘back in the saddle again’. We love seeing some new faces, as well. There aren’t many roles out there for older folks so we are creating some. We have an obligation to give back to them, the ones that taught so many so much. They have many more curtain calls left in them!” said Hall, who has been involved in SAAC theater for 40 years. He has witnessed ‘the spark coming back’ with his new charges and loves seeing it happen. If you or someone you know might be interested in joining this fun group, please call the SAAC office at 870-862-5474 and give your name to them to be given to Gary Hall and he will get in contact with you. You need not be a stage veteran, just have an interest in the program and want to have some fun! 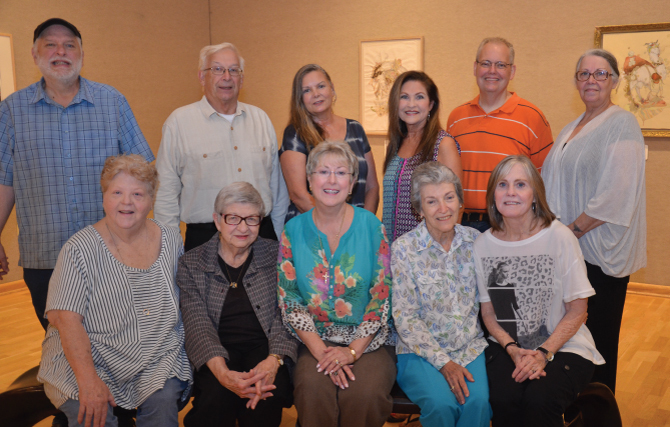 Local thespians meet for the first time in August and deside to form the Silver Theatre group. Back Row: Rob Bosanko, Dr Allan Pirnique, Nancy Hall, Beverly Hall, Gary Hall, Delaine Gates. Front Row: Pam Bosanko, Kay Shadock, Becki Lusk, Mary Egerer, Beverly Allen.